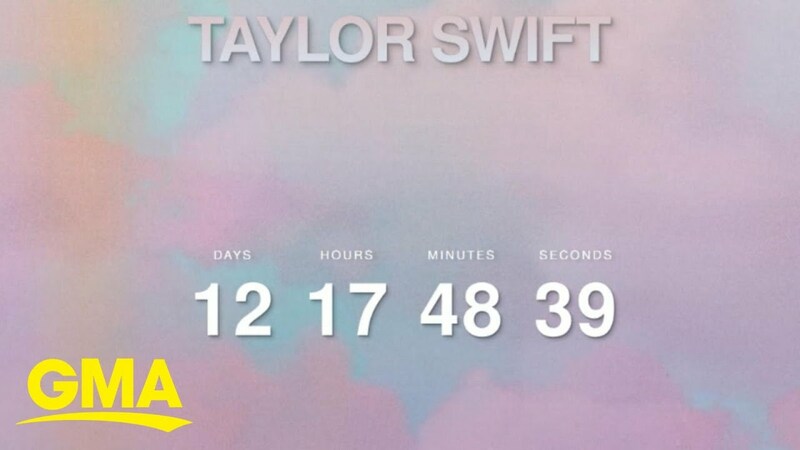 Taylor Swift shared a mysterious countdown clock that ends on April 26th on her Instagram Stories. April 26th is 13 days from the day the clock was posted. Thirteen is Swift’s lucky number. When the clock struck midnight on Friday, the Grammy winner, 29, swapped her Instagram, Twitter and Facebook photos to a pastel sky and clouds and included the date “4.26” in her bios. Her website is also now featuring the countdown clock. She also teased the same date on Instagram Saturday, posting a cryptic picture of a pink heart made of diamonds. On Sunday, Swift posted an image of a pair of hands adorned with several rings and spring-ready pastel nails. The mysterious countdown popped up all over the world, including New York’s Time Square, London, Melbourne, Australia, Tokyo, Japan and Delhi, India, sending curious Swifties into a frenzy. Taylor didn’t specify what would be happening on the 26th, fans have been speculating that she’s getting ready to release new music for months. Last month, Taylor addressed the rumors surrounding her new music and was even spotted leaving a recording studio.